John Winning is no stranger to the Retail Executive of the Year Award. It is his fourth time taking the accolade following wins in 2013, 2014 and 2016 – not to mention receiving the Young Executive of the Year Award in 2012. 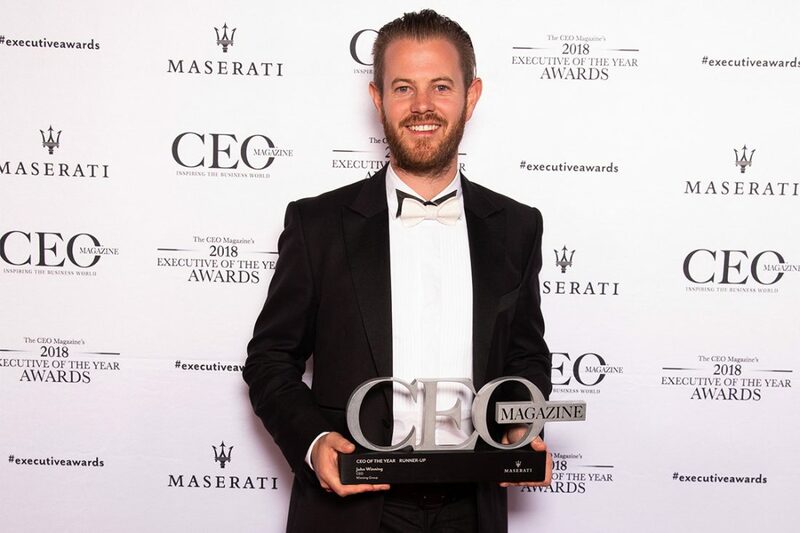 This year, John has another two awards to add to the mantelpiece, after taking out the Retail Executive of the Year Award for the fourth time and also receiving the Runner-Up CEO of the Year Award. As CEO of Winning Group – a family-owned retail, technology, distribution and logistics company – John has made significant strides for the company. In a company first, he recently appointed a COO, which has improved productivity and given John more time to focus on innovation and Winning Group’s unique offering, as well as longevity and success for the business. Winning Group grew by more than 15% in 2018, achieving its most successful year in its 112-year history. It also achieved a net promoter score of 81.7, compared to the industry average of 12. The company has four main business verticals including Winning Appliances, Home Clearance, Winning Services and Appliances Online. Winning Appliances recently expanded into Victoria by acquiring Michael’s Appliance Centre in Brighton. It also opened a new commercial head office and show room in Osborne Park, Perth. Over the past 12 months the company acquired Jobvibe which allows team members to share real-time feedback about business processes. It lets John know what is and isn’t working in the business and measures his effectiveness as a leader. Since the acquisition, employee happiness ratings have improved significantly. Winning Group’s aim is to deliver the world’s best shopping experience and it remains innovative by heavily investing in R&D. Furthermore, the company’s entire strategy is based on neuroscience. It has used this discipline to determine its purpose, ‘We say yes in a no world’, and has appointed a neuroscientist as its head of strategy to ensure the company understands exactly what its customers want and can deliver them straight away. “We pride ourselves on taking the traditions of customer service and bringing them into a modern context,” John says. As a fourth-generation retailer, John is proud of how far the company has come. In addition to its four business arms, it has five major warehouses and five satellite warehouses throughout Australia.